Design and video software specialist Adobe has issued record earnings forecasts considerably above projections from Wall Street, causing shares in the company to surge this week. The Photoshop and Flash developer forecast this week that it will post a profit this current quarter of between 54 and 59 cents a share, beating Wall Street predictions of 51 cents a share. Adobe's projected revenue for the quarter is in excess of $1 billion, slightly ahead of the average forecast of $992 million from analysts. So much for a weak economy battling its way out of recession! Three months ago, Adobe was concerned that it would not meet its forecasted earnings due to recessionary problems in western markets such as the US and Japan. "Overall, the economy has improved a lot since then," Global Equities Research analyst Trip Chowdhry told Reuters this week, following the latest financial news from Adobe. The only slightly bad news for Adobe was the fact that sales at its creative solutions business, which develops Creative Suite 5, declined to $542 million in the fourth quarter from $550 million in the last quarter. 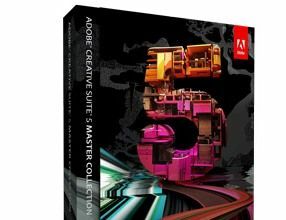 Adobe put this down to a slight downturn in the educational market in the US and a weak economy in Japan.